With quite a star-studded cast in the form of Vishnu Vishal, Catherine Tresa, and Soori, Kathanayagan makes no big bones about delivering anything different or moments that make you laugh out loud. It is a quintessential commercial film about the hero, his beautiful girl, his sidekick friend, and his loving family. We don’t expect a great story when you step into a theatre to watch a no-brainer comedy like Kathanayagan, but still, you would want the film to have enough funny moments that keep you entertained throughout. Maybe if Kathanayagan had more comedy scenes like the one in the climax, its outlook would have been completely different. When the screenplay doesn’t engage you so much, and when it doesn’t have enough amusing moments, you cannot afford to have a shallow storyline. 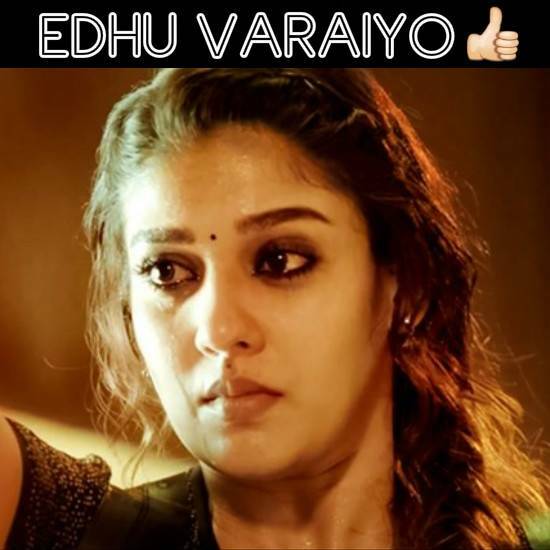 The core plot is not clear enough as the film starts as a love story where the hero attempts to win the approval of his girlfriend’s father, but it takes a different route before the interval point. So there wasn’t enough clarity in the way the film was heading which seemed to be the biggest drawback of all. 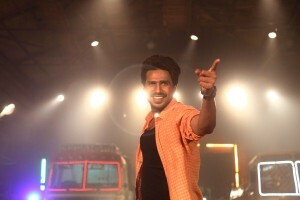 Vishnu - Soori chemistry which has worked wonders in the past, doesn’t deliver much. You don’t get a generous dosage of enjoyable comedy, but one or two scenes might still make you smile. The presence of Anand Raj brings about a chuckle now and then. Probably the best parts of the film are the pre-climax portion with Anand Raj and the Motta Rajendran's portion which would give the audience a couple of laugh moments. The actors aren't required to exert much, given the easy nature of the film. 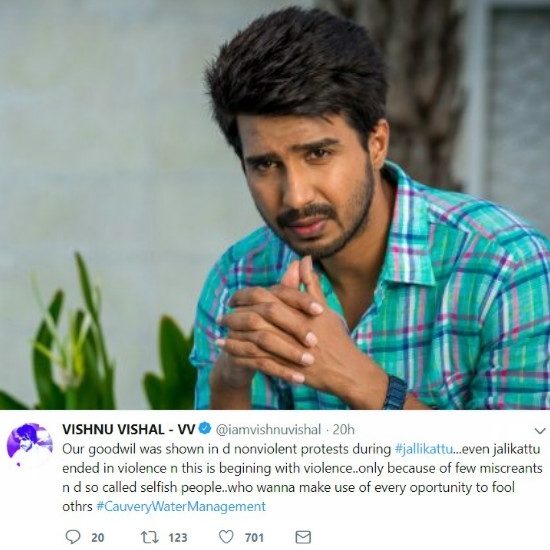 Vishnu is a seasoned campaigner when it comes comedy movies, and he gives a typical performance. 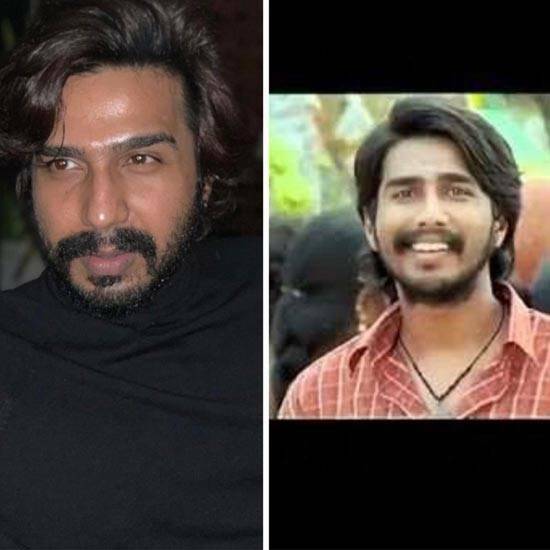 Going by Soori’s track record, we expect more from him as his portions lacked fizz due to his overused body language and dialogue delivery. Catherine was mainly glamour driven, and her love part with Vishnu could have had a little more depth. Director Muruganandham could have focussed on a better screenplay and comedy content to deliver a simpler story. You get a standard output from the technical departments as well. To sum up Kathanayagan, there is nothing new and doesn’t provide funny enough, good moments. 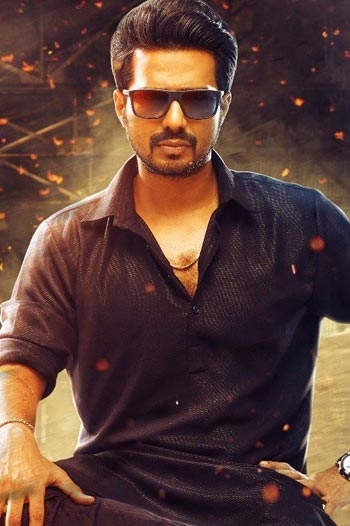 Kathanayagan The Hero is a number with a high dosage of guitars and follows the rock pattern. 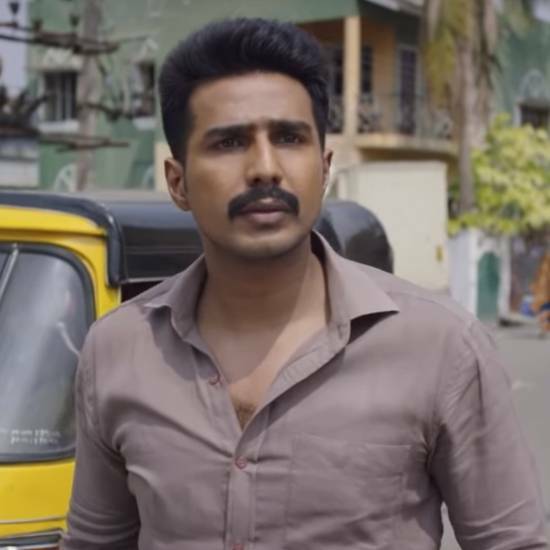 Sean Roldan’s title track for Kathanayagan is not as heroic but impresses in parts. The drums and electric guitars keep you interested and towards the end the song sounds much better. With just under 3 minutes, it is a decent listen. This song sung by Anirudh is a fun love based number. The song starts off with the harmonium and Piano portions that Sean renders well. The folk portions that depict frolic are just about listenable but with the progression of the song they become enjoyable. Lyrics are easy and catchy. Violin and other string instruments add value to On Nenappu. 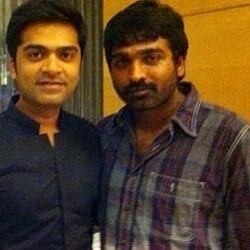 Anirudh delivers a neat song in his voice. A slightly different folk based track. With a tinge of carnatic music and a mild use of bass guitar, the song sounds a little offbeat. Mukesh sings well and trumpet portions in the latter half make it a jazzy number. With a mix of numerous genres, Tappu Tippu has quite a few variations to offer to the listener. 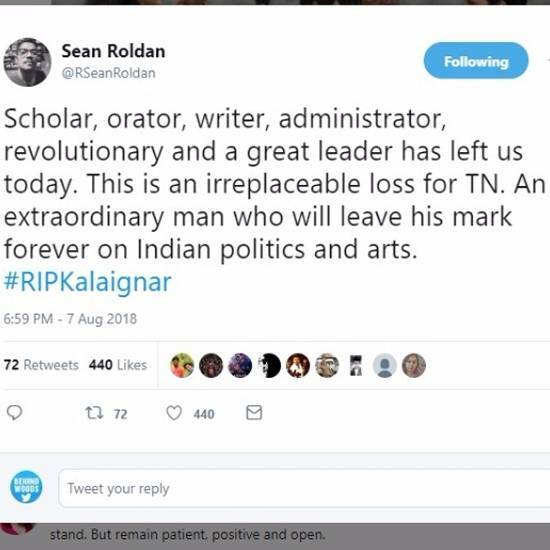 An out and out folk song for Kathanayagan by Sean. Sunday Na Bottle Edu is again a fun track. The usual folk elements are seen and the pace or tempo is not too attractive as it takes the medium route. The lyrics are again catchy in parts and the tune is hummable. This theme has a lot of techno and beats along with the electric guitar. With an occasional whistle and drums adding value to this track, it carries a nice energy. A fun filled theme track which has a comic touch to it. Verdict: Sean Roldan's fun filled album has numerous elements. Will it become an addiction to the listeners, is something we need to wait and see. 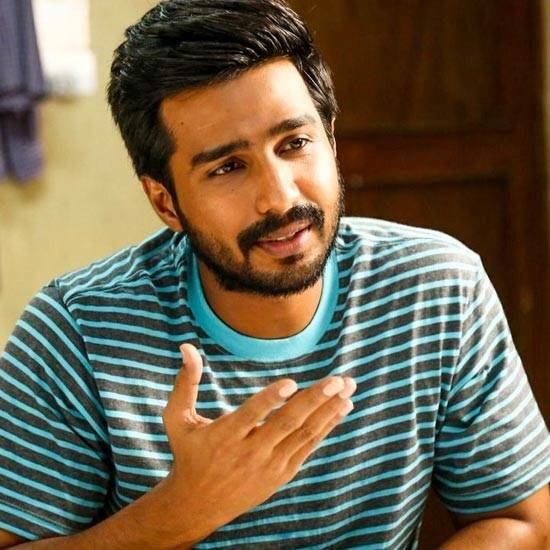 "I don't like the idea of marriage"
Vishnu Vishal - "Some feel selfish about our relationship"
Kathanayagan (aka) Kadhanayagan is a Tamil movie with production by Vishnu Vishal Studioz, direction by Tha. Muruganantham, cinematography by J.Laxman, editing by Sridharan. 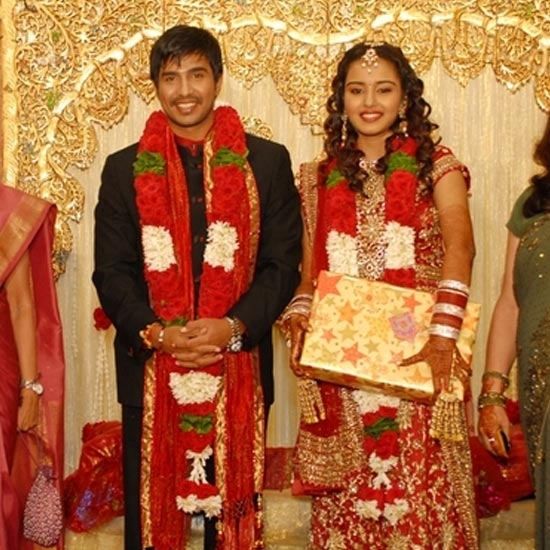 The cast of Kathanayagan (aka) Kadhanayagan includes Catherine Tresa, Vishnu Vishal..